Bring water and vinegar to a boil with sugar, salt, garlic and oregano. Add sliced onion. Simmer for a few minutes. 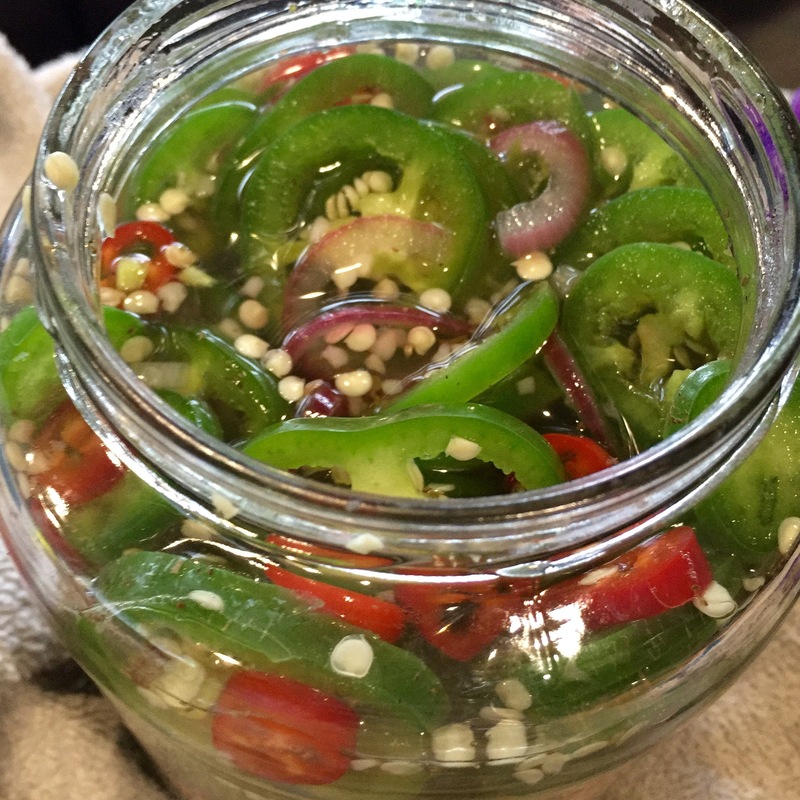 In the meantime, slice jalapeños and fill a glass jar with them. Pour hot liquid over peppers, covering completely. You can put the onion in also or discard it at this point. Let cool, put a lid on, and refrigerate at least overnight. They should last about a month in the fridge. Allen loved them. So I decided to make this second batch for the guys he’s working with now. I will never buy pickled jalapeños again. These are so much better! 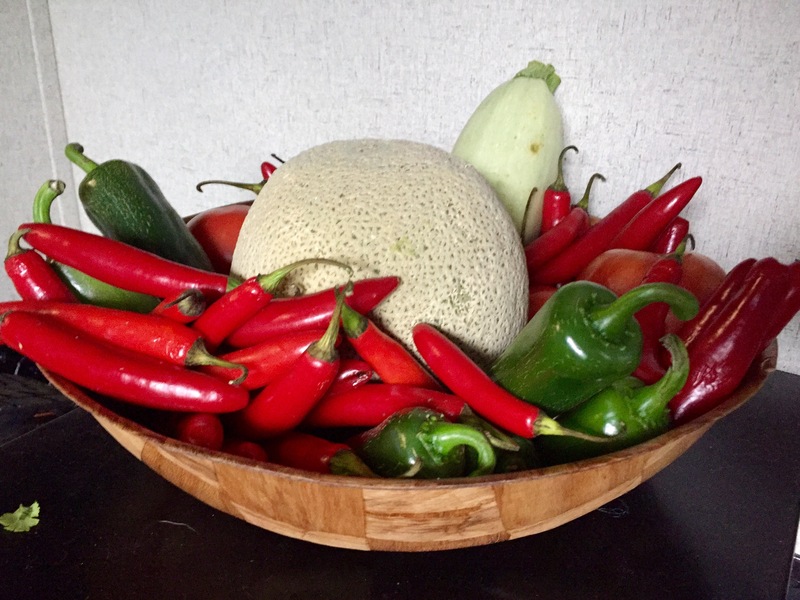 This entry was posted in DIY, Food and tagged canning, cooking, florida, food, jalapenos, jarring, peppers, pickled jalapenos, pickled peppers, recipe, Recipes by Rachel Gillen. Bookmark the permalink. Wow pavlovian response here drooling when you said pickled jalapenos. Do these come out like a bread and butter pickle kind of sweet? Wonder if artificial sweetener can be used instead of all that sugar (diabetes)? Cool (or is it???) Recipe …. cant wait to try it! Surprisingly they did not come out like a bread and butter pickle, although I was a little afraid of that at first! I think the sugar just balances the vinegar a bit. I have no clue how artificial sweetener would work, or if it would at all, but I bet you could definitely cut down on the sugar or leave it out altogether. They might just have a bit more of a bite to them…? I say give it a shot!